Can You Replace a Lost Receipt Using A Rewards Card? Our kitchen counter seems to be a magnet for store ads, receipts and returned assignments the kids brought home from school. Every day I sort through a pile of paper to determine which need to be kept, and which can be tossed. With a motto of “when it doubt, throw it out,” you can imagine that occasionally I would get rid of something that we actually need. My son celebrated a birthday in January, and the only thing he wanted was a set of decent headphones to replace the low quality ones that came with his recently purchased iPhone. On our way to Best Buy I told him his maximum price was $30. He picked out some Skull Candy ear buds priced just within the stated price range. Less than two weeks later, he laid them next to me on the kitchen table and informed me that they were broken. Knowing how he treats his other possessions, I highly doubted that he had abused them. I plugged them into my iPod, started playing a song, and confirmed the bad news. The left ear bud was no longer functioning. Since I hadn’t expected the headphones to stop working inside the very generous thirty day manufacturer’s warranty (sarcasm is wonderful, isn’t it? ), I had disposed of the packaging and receipt in one of my daily clutter purges. I was concerned that we wouldn’t be able to return or even exchange the ear buds. On my way home from work the next day I stopped at Best Buy and went to the customer service counter. As I explained the situation, the look on the representative’s face confirmed my fear. It was that “This guy is screwed, there’s nothing I can do about it, and I hope he doesn’t make a scene” look. 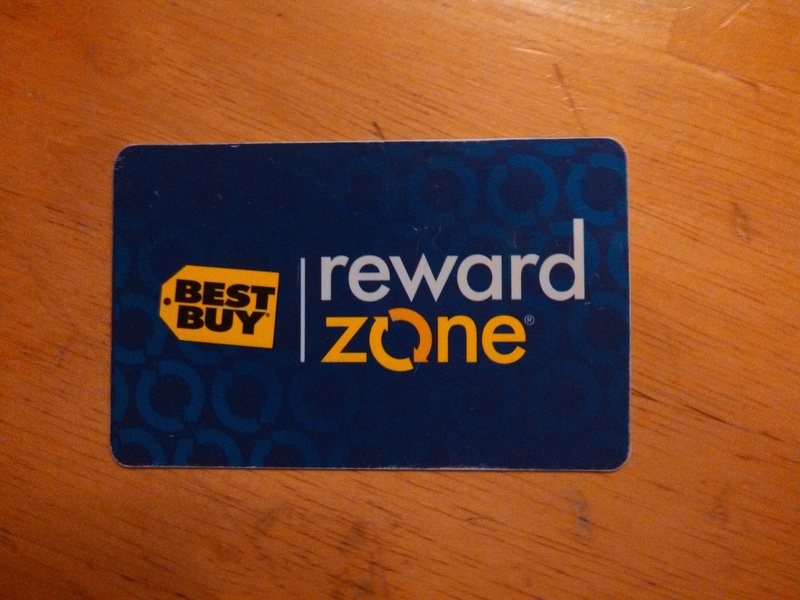 As a last ditch effort, I mentioned that I had scanned my Best Buy RewardZone card when I purchased the ear buds. His face lit up, and his fingers went to work as he typed my phone number into the register terminal. Apparently, all purchases are tracked via their RewardZone program and he was able to reprint my receipt. Using the newly printed receipt, I was able to exchange the defective ear buds for a new pair. Many retailers go out of their way to advertise very lenient return policies. I had a friend successfully return a broken Keurig to Kohls (a retail corporation based out of Milwaukee, Wisconsin) without a receipt a year after they purchased it. But it’s usually a different story with electronics. Without a receipt, we would have been stuck with a broken set of headphones, and I would have felt obligated to purchase another one for my son. After all it wasn’t his fault that they stopped working. Most of the time, I buy small electronic items at discount retailers as the price can be slightly less expensive, but given the difficulty (especially in my case) of holding on to receipts for longer periods of time, next time I may think twice given that I know I can retrieve a lost receipt via my RewardZone account at Best Buy. Would you pay a little more for the peace of mind that you don’t have to keep a receipt for an item? What do you think about retailers keeping track of your purchases electronically? Great post, Travis. The whole “tracking my purchases” thing does freak me out a little, but I think it’s just part of life in the 21st century, and it does come in handy for cases like yours. When we start to get real paranoid about the tracking thing, we just pay cash. :-). I’m still amazed that you guys have very little snow down there. We’ve got more than enough up here: a good 10-12 inches on the ground right now. YUCK. I want summer! I know many people are very concerned any time a company is able to gather data such as your purchasing history. I guess I don’t get too worked up about it….I don’t know what they would do with the data that would hurt me. Maybe I’m just too trusting? 10-12 inches on the ground? That’d be awesome, Laurie! It’s been such a mile winter. We have a few inches on the ground now, but our corner of the state has been missing out on the big storms this year. I like to keep my receipts until I know the return period has expired, but my wife likes to clean and purge anything that she doesn’t recognize. It makes it difficult for me, but I get used to it. I don’t mind receipts being tracked electronically as it makes life easier. 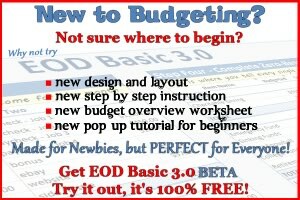 We should be able to use our credit card statement to show proof of purchase. I like shopping at REI because you can return anything there at any time, without a receipt. I returned a water filter there that I had used for 5 years and then it broke. I walked out of the store with a new one, no questions asked. That is how every store should be. Keeping receipts until the warranty or return period ends is an idea that has occurred to me. I just seem to lose track of things that I have to keep that long. 🙂 I think I just need a filing system or something. LOL. Good to know that REI has a lenient return policy too..they’ve got some good stuff. Always good to hear from you, Grayson thanks for your comment! My husband holds onto receipts and I’m the one constantly de-cluttering and throwing paperwork/receipts out, much to his chagrin 😉 That’s interesting about Best Buy and their rewards card, I did not know that. I’ve stayed away from that company for a long time because their return policy was not really “customer friendly”. Glad you were able to exchange the headphones! There always seems to be one of each in a relationship, doesn’t there MacKenzie?? LOL. You’re right about Best Buy though….typically they are very return unfriendly – but I suppose that’s the nature of the kinds of products they sell. Target is really great/creepy at this as well. They can scan the credit card you used and pull up your purchases, print receipts, and make returns. It is creepy, but very helpful at times! Oh, I forgot about that, Renee! I have also run across that with Target when I didn’t have a receipt. I think they also have some sort of policy that you can only return so many things each year without a receipt. Like I said above, I don’t get too bent out of shape that they track my purchases. As long as they don’t attach video of me walking in and out of the store with it. LOL. Really? I did not know that! I buy skull candy headphones too and they’ve busted on me….I wish I would have known that. Thanks for the tip Mary Kate!